Storm season is approaching in Oklahoma and it’s a good time to prepare for the bad weather that rolls through our state. Part of being prepared means thinking ahead and having an action plan in case something unfortunate does happen. 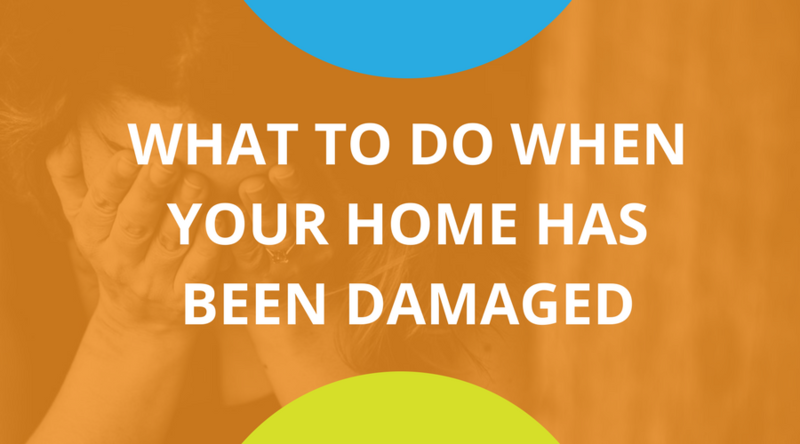 When a storm hits and damages homes, it leaves many people wondering how they should react. Assuming the situation isn’t life-threatening, the best first step for dealing with storm damage is to call your insurance agent. Your agent can advise whether or not you should file a claim for your storm damage. If you’re uncertain about the claim and repair process, your agent can help guide you and put you in touch with contractors and other professionals to perform any needed repairs. Whether or not you file a claim is an important decision that can have significant financial repercussions. Depending on your deductible and the extent of the damage, you may not want to file a claim. If the repair cost is below your deductible, you’ll be paying for the entire repair out of pocket and will “waste”any claim that you file. So, if your roof received $1,000 in damage and your deductible is $5,000, it’s probably better to not file a claim on your insurance because you’re not going to get any money for the repairs anyway. If it’s unclear how badly your home has been damaged, your insurance agent can put you in touch with experts who will come onsite and assess the cost of a repair. In most cases, this is a service provided free of charge. With a repair estimate in hand, you can decide whether or not filing a claim would be in your best interest. Insurance companies generally allow only two claims every five years before significantly increasing premiums...or dropping you. When premiums are increased because multiple claims were filed, your insurance payments could go up by 50% or more and your level of coverage might also go down. This means you could get stuck in a situation where you’re paying more for a lower level of coverage, until the five year window resets. Your insurance agent can help you decide whether or not you should file a claim, but you need to call your agent first. By calling the insurance company, you risk them automatically filing a claim based on your call. Have additional questions? Let us know and we can see how we can help. SEE ALSO: Will Your Agent Actually Help With Claims?